In today’s rumor rundown, the NHL is looking into the validity of Henrik Zetterberg’s injury, the Ducks had serious interest in Erik Karlsson, Mark Stone called out a reporter for what he called a false report and the Blue Jackets are fielding calls but have no desire to trade Artemi Panarin. It’s not to say that the NHL doesn’t believe Henrik’s Zetterberg’s injury situation is legitimate, but any time there is an injury that forces a player into early retirement and that player happens to have a contract that has two final years on a long-term deal where the remaining seasons are paid out at a much lower rate than the others, the NHL has to cross their T’s and dot their I’s. Deputy Commissioner Bill Daly told Craig Custance of The Athletic, the NHL is looking into Zetterberg’s situation just to cover itself from any possible blowback. The NHL did the same things with Joffrey Lupul and Marian Hossa and this simply a matter of formality for the Red Wings who shouldn’t be concerned. As long as the NHL’s independent doctor reaches the same conclusion the team doctor did, the team will face no penalties. Daly also said the league looked into Zetterberg’s contract when it was first signed to ensure it abided by the salary cap circumvention rules at the time and the league found no fault in the deal. He actually said it was Zetterberg and not the team who suggested adding the extra two years. 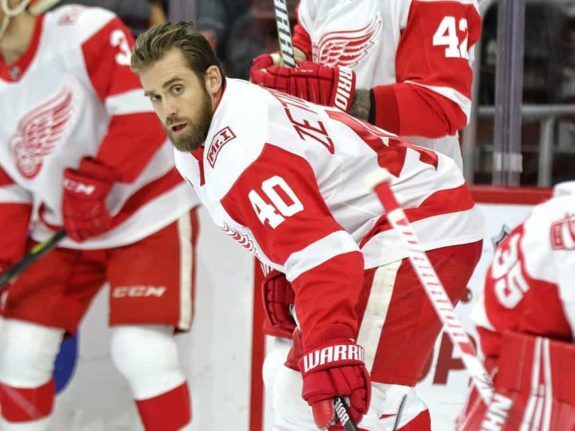 It looks like there won’t be any penalties assessed to the Red Wings, but Zetterberg can’t formally retire until his contract comes to an end. Ducks Nearly Acquired Erik Karlsson? 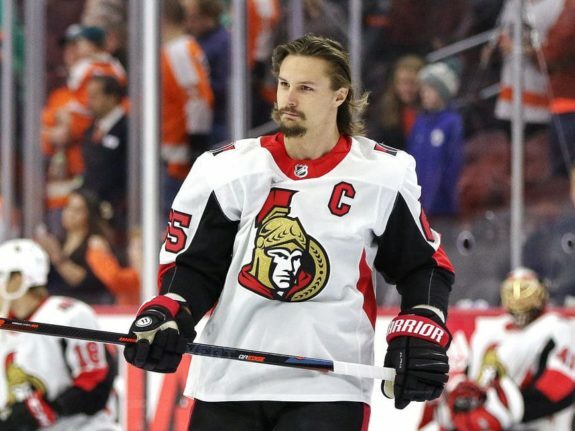 After a summer of drama, it was the San Jose Sharks who ultimately landed defenseman Erik Karlsson from the Ottawa Senators. That said, Elliott Teaford of the Orange County Register is reporting that Ducks GM Bob Murray acknowledged the Ducks had discussed a similar package of players. Murray said the only reason Anaheim didn’t stay in the conversation is that they knew they would have trouble signing Karlsson to a contract extension. Murray said, “I was more than capable of giving him what he got. But, if you can’t afford a person, why are you going to do that?” Murray was right in that the Ducks already had over $69MM committed to just 14 players for 2019-20. The salary cap could go up and the Ducks still would have had trouble making an $11 million salary fit without first moving a big piece of their roster. That news is quite interesting considering Anaheim was never a team rumored to be in serious consideration for Karlsson when the rumors were hot and heavy. In regards to a possible contract extension with the Sharks, Pierre LeBrun reported a clause in the CBA means Karlsson can’t sign an extension with the Sharks until February 25, 2019, if he wants the full eight-years on an extension. The rule often goes so unnoticed that Daly had to send a reminder memo to the 31 NHL teams with clarification about how the structure of those types of extensions worked. Stone immediately dismissed the report and claimed he’d never heard of Jean so he had no idea where he would get such false information. Stone insisted he loved it in Ottawa and hopes to continue playing with the Senators. Speculation will continue to run throughout the season when it comes to Stone’s future in Ottawa. 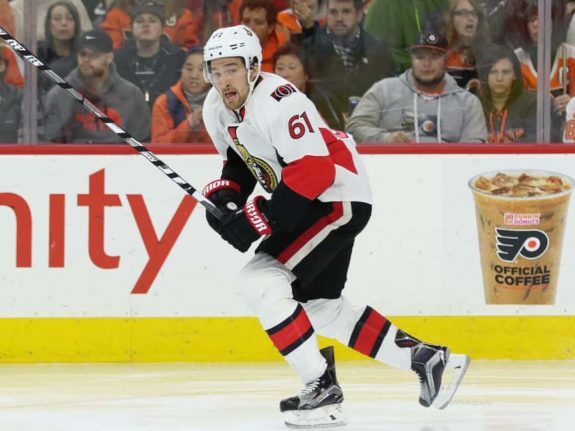 He signed a one-year deal which will give rise to the idea of him being traded before the deadline if the Senators are having a rough season. Darren Dreger of TSN said the Columbus Blue Jackets are still fielding offers for Artemi Panarin but the team absolutely does not want to trade him. If possible, GM Jarmo Kekalainen is trying to convince Panarin to re-sign, as he is Sergei Bobrovsky but things aren’t looking positive in Columbus.